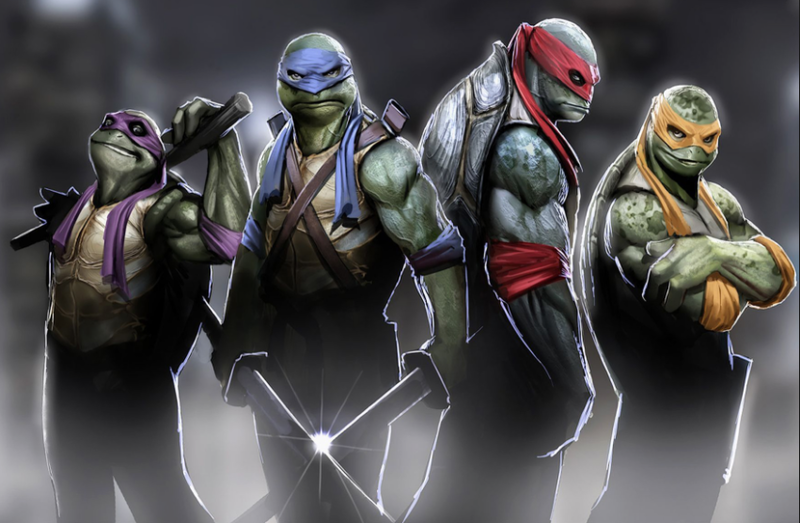 Since 1983, the Teenage Mutant Ninja Turtles have been a fan favorite. Over the years they have gone through many “mutations”. With the Turtles new movie about to hit theaters, the folks over at Halloween Costumes.com have come up with a nice visual to show you their many different looks over the years. Give it a look and walk down TMNT memory lane. If you can’t get enough of Leonardo, Donatello, Michelangelo, and Raphael you can CLICK HERE to continue your fascination and REALLY get into the act. There’s something here for the whole family. This entry was posted in Comic Books, Movies and tagged costumes, Teenage Mutant Ninja Turtles, TMNT. Bookmark the permalink.